This post is about 5 months delayed...oops. I was a bit captivated by Croatia when I looked down from the plane and saw tons of little islands that were mostly inhabited. We arrived in Zadar in one of the smallest airports I've ever been to, and immediately hopped on a bus to the city center. Easy. From the bus I could tell that this was really a different place. The old town of Zadar sits on a peninsula and is surrounded by a wall. Inside is a small city of narrow streets, old churchs and shops/restaurants. We arrived at night to the "address" of our hotel, only to find a door with no signs. Matt calls the phone number listed, and we were told to "go wait at the bar around the corner and we will come retrieve you". Several minutes later a young woman shows up and said "hi! you guys look like tourists!". I'll give it to her, we did look like tourists... Anyways, we then followed her into her car, as she drove us outside of town to a dark apartment complex. We then climbed many flights of stairs in the dark at which point I was basically mentally prepared to be killed when we got to the top. Clearly the trip had already gotten off to an unusual start. It was a beautiful next day and so we spent the morning wandering the old town within the city walls and around the peninsula. When we got there, which turned out to be Uglijan, we quickly realized there was nothing there. No people, no establishments, nothing really to see. So we took a looooong walk, and for a brief time we thought we were following a "tourist information" sign, which ultimately led to nothing. I now wonder if that sign was just an imagination. And so this is about the time we decided to start drinking. Back in Zadar, a few beers in, a swim near the Ocean Organs near the tip of the peninsula seemed like a good idea. I loved sitting there and admiring the ocean, people watching, and listening to the natural music that the waves created. We took a bus to Split the next day, which was quite a long trip on a bus that was like a commuter coach. Split is far more touristy but also far more beautiful as it's built upon ancient Roman grounds, alot of which still stands today. 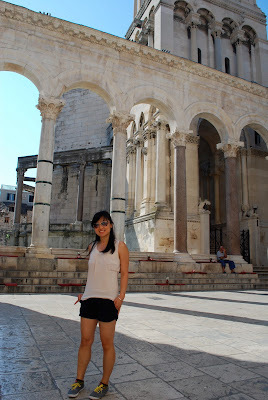 We stayed in a hostel inside Diocletian Palace, which I was immediately blown away by. The Palace... not the hostel. We also took a day trip to Krka National park for some very easy "hikes". 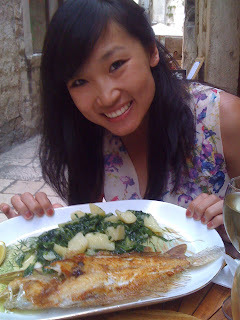 After several days of eating extremely mediocre food and being generally confused about what was on our plates, we did stumble upon a small restaurant near our hostel that served an amazing fish dish which I do still think about. It was a half of a whole flounder (arguable my favorite fish), on the bone in a very light herb sauce. 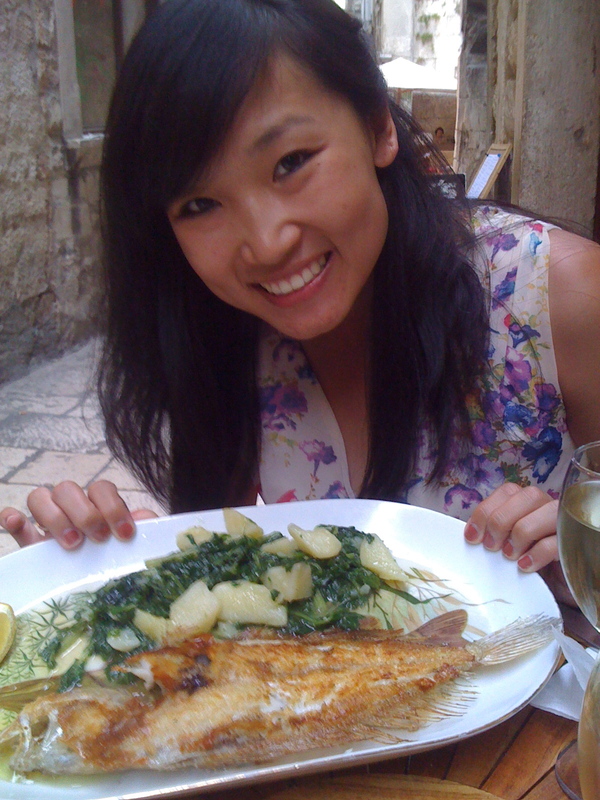 It was exactly what I imagine all seafood in towns literally on the ocean would taste like. Perfection.